There is a unique business mentor for a person starting a new job role…it is called the “GPS navigational system”! When you think about it, the correlation and learnings are quite staggering and provide a useful insight for the new employee and their manager. When you start a new job, you have minimal idea what to do, or how to go about things. You are looking for leadership and guidance as you commence your new career in the right direction. When you turn on your GPS, it is also “lost” for the first few minutes whilst it establishes its position coordinates with the satellites. In the early stages of your new role, you and your manager discuss your learning program for the first few weeks/months. The GPS plans your travel route. 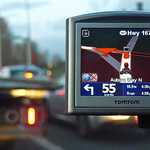 The new employee and driver (user of the GPS) both follow directions as provided without straying from the chosen path. With time, both the new employee and the driver become less dependent on instructions and start to experiment and explore new paths. The manager should start to provide some “new maps” for the employee so they can obtain new and challenging experiences and expand their knowledge, skills and business horizons.